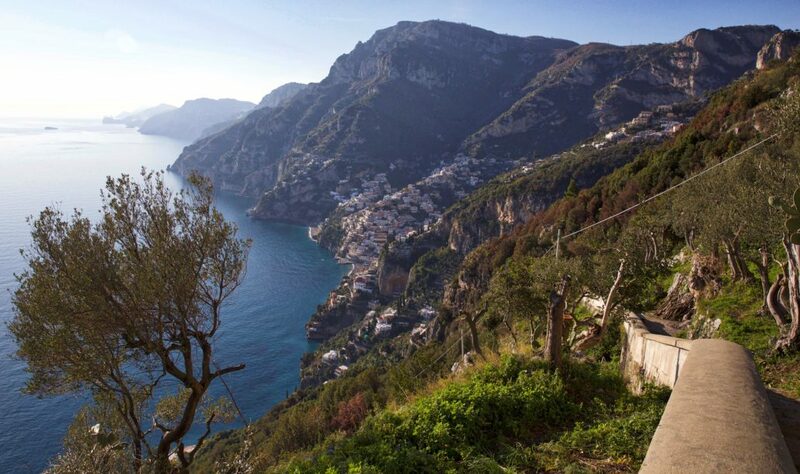 Discover breathtaking scenery on our Ultimate Amalfi Coast Trek. 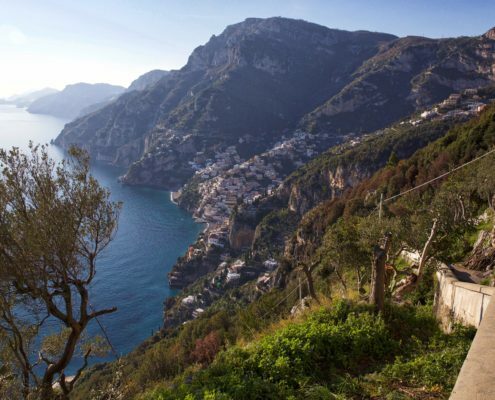 Experience the Amalfi Coast on a vigorous five-day trek with local certified mountain guides. 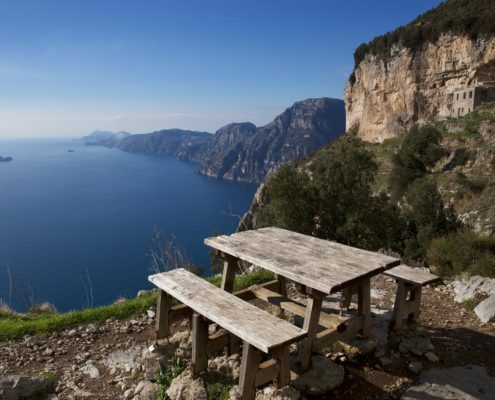 Enjoy overnight stays in family-run B&Bs and have your luggage transported for you! 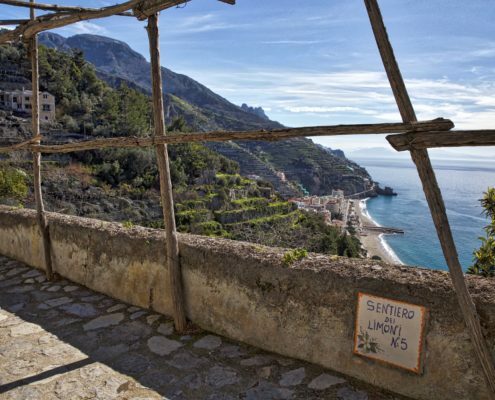 Included is a private transfer from your hotel to the Badia of Cava de’ Tirreni where the trek will start. 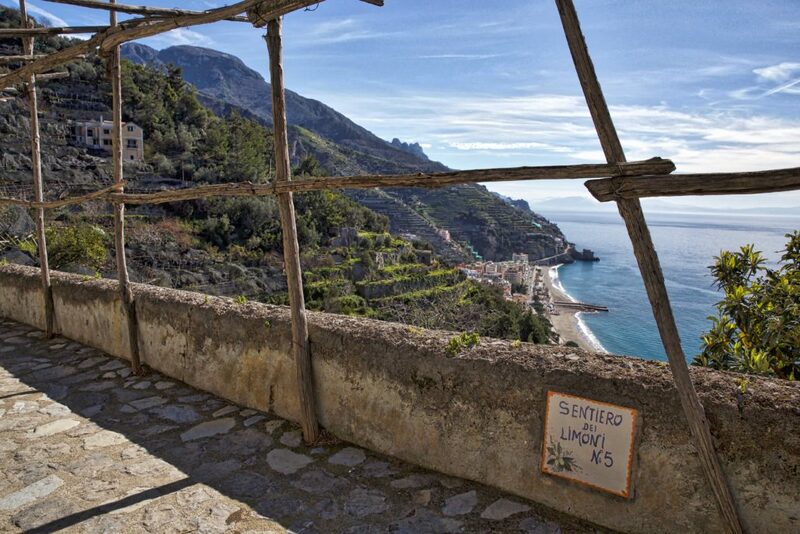 Early morning pickup from your hotel to the 11th century Benedictine Abbey of Cava de’ Tirreni. 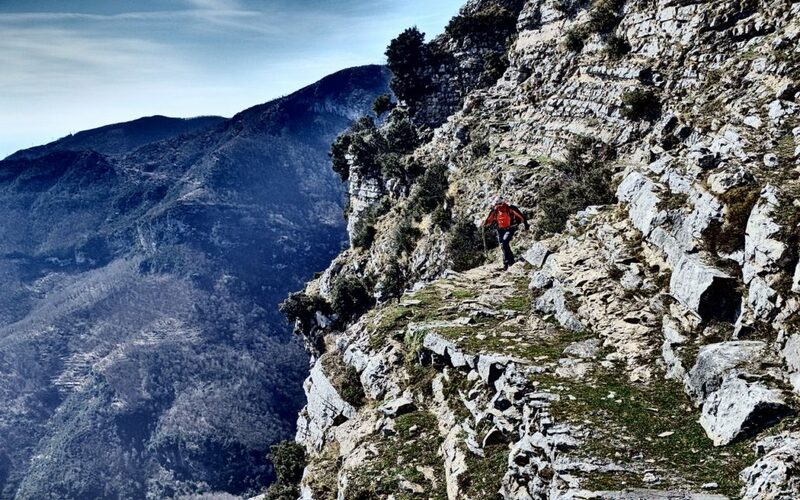 Here you will meet our mountain guides and the other members of your group. We begin with a guided tour of the Abbey visiting its cloister, catacombs and small museum. Afterwards, we start our trek towards Mount Avvocata (max. 3 hrs). 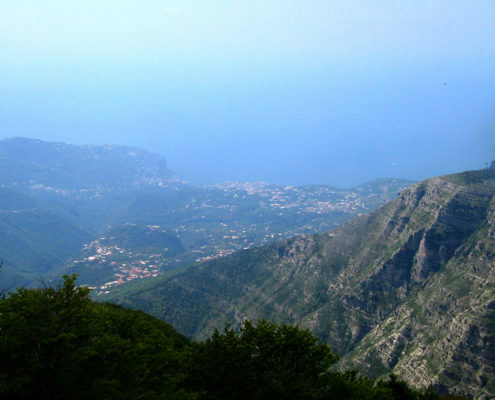 Trekking on Mount Avvocata is a classic route with stunning views over the Gulf of Salerno and the Amalfi Coast. 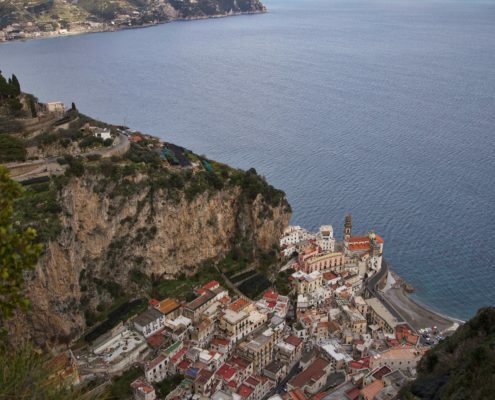 Every Monday, after the Christian holiday of Pentecost, the Monastery on Mount Avvocata is reached by thousands of pilgrims from Cava de’ Tirreni & Maiori to renew their devotion to the Virgin Mary. 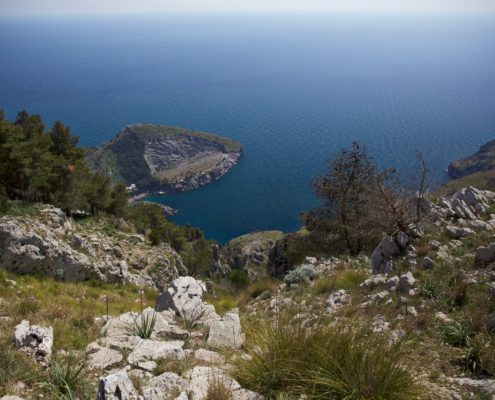 We visit the cave where the Virgin Mary appeared to a local shepherd and told him where to build the monastery. Time for a lunch break before descending on a steep path from 1,014 meters above sea level to the village of Maiori at sea level. End the day with a delicious welcome dinner. Overnight accommodation in a local B&B. Meals included: Boxed Lunch and Dinner. 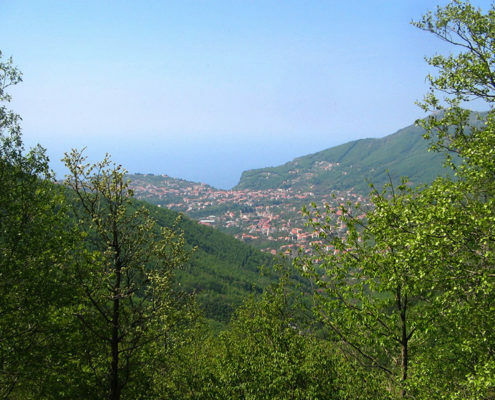 After breakfast we begin our second day with an 11km trek on the Lattari Mountains. 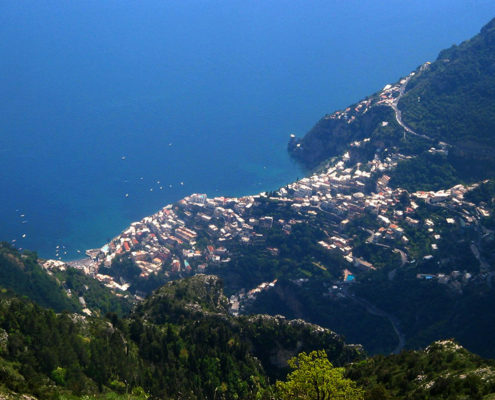 From Maiori we walk via the Lemon Trail through the picturesque villages of Minori, Ravello, Atrani, Pontone, and enter the Valley of the Mills. 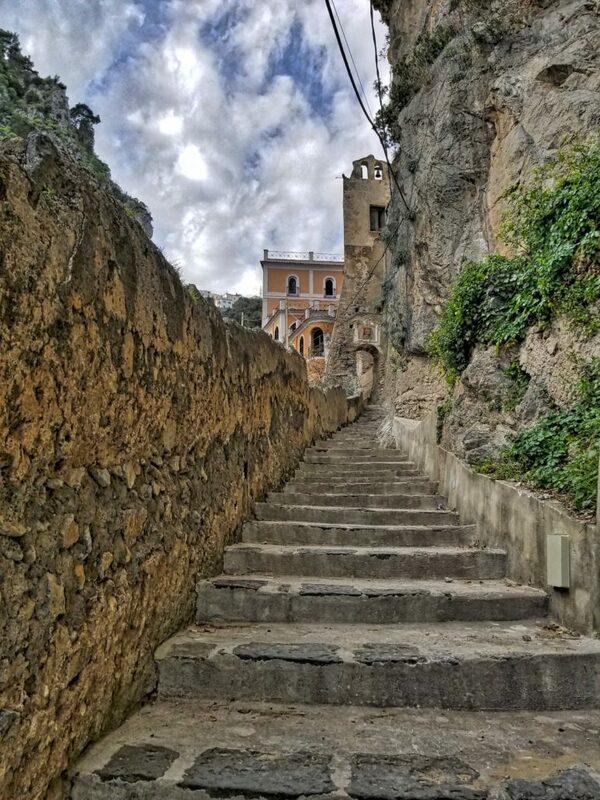 Here we climb the ancient stairs and paths amid lemon trees full of springs and waterfalls amid high cliffs. Within the deep valley we will see several examples of industry from as early as the 10th century, such as the remains of an old aqueduct and ironworks. 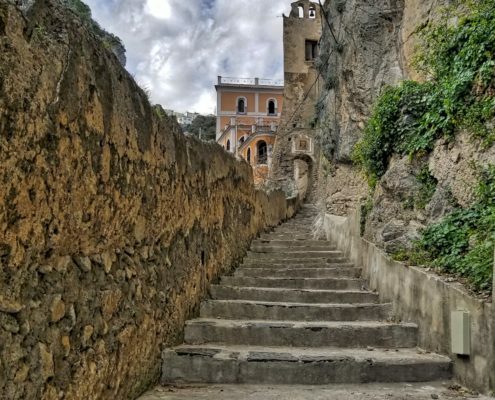 There are also ruins of several paper factories that remain one of the few links to the history of wealth and power of the medieval Republic of Amalfi. The Valley of the Mills is a subtropical microclimate where you may find Cyclamen, Wild Orchids, Pterris vittata, Pinguicula hirtiflora (a carnivorous plant), Woodwardia Radicans, and Erica terminalis (a rare species of the giant fern which has its origins in the tertiary period). 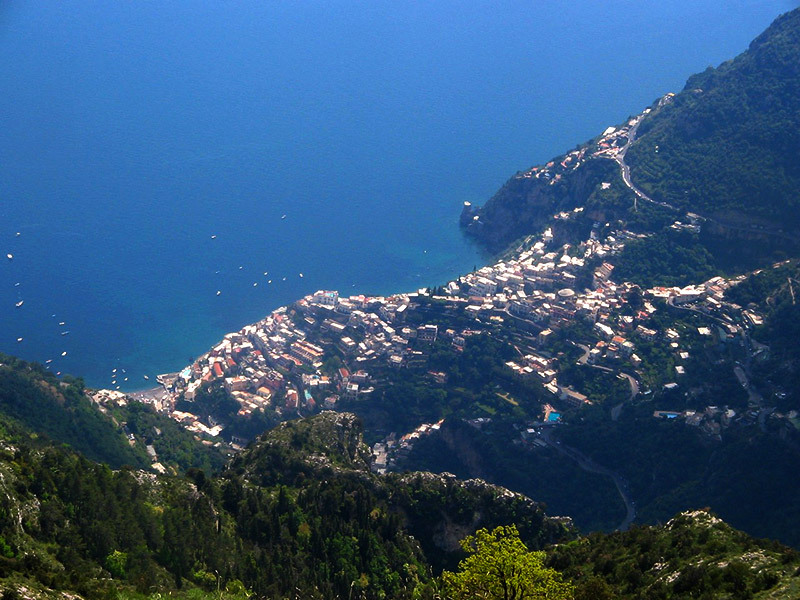 We descend into the town of Amalfi and you may choose to visit the Paper Museum, the Duomo, or relax in the square for a well deserved gelato. Transfer to our overnight accommodation in a local B&B. Meals included: Breakfast, Boxed Lunch, and Dinner. 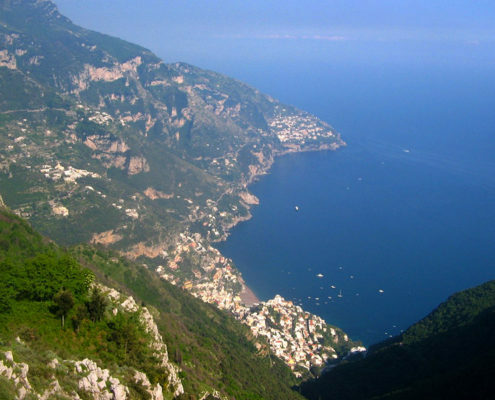 After breakfast we enjoy a pleasant hike on the most famous trail on the Amalfi Coast: the Path of the Gods (Italian: Sentiero degli Dei). 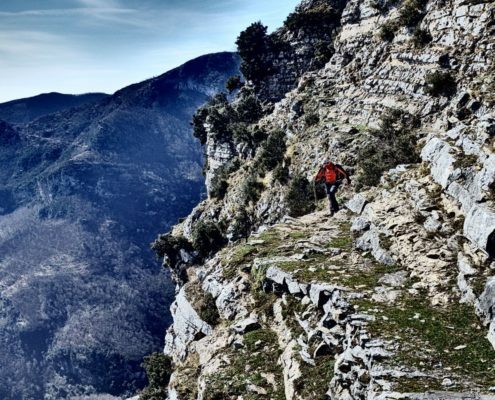 Walking across the mountainside, at the feet of the Sant’Angelo a Tre Pizzi mountain, we will admire one of the most breathtaking panoramic views in the world. 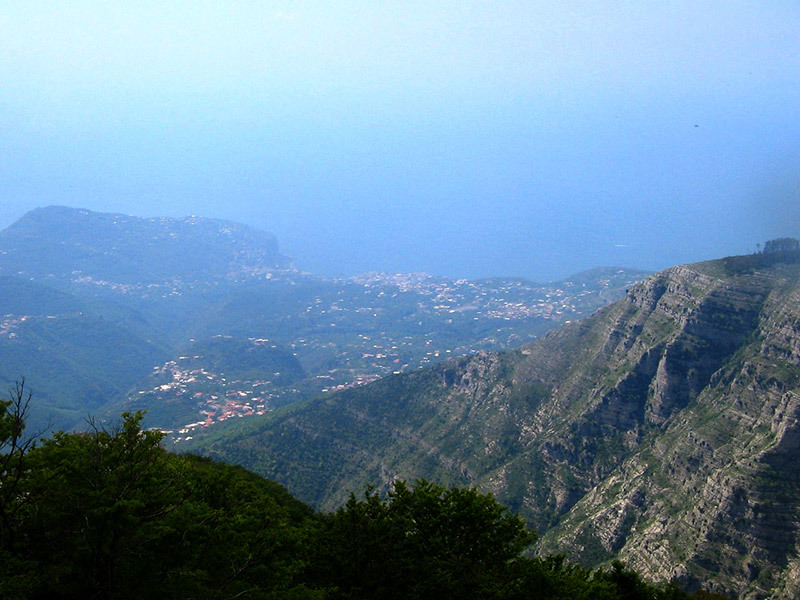 The path starts from the square in the hamlet of Bomerano in Agerola. 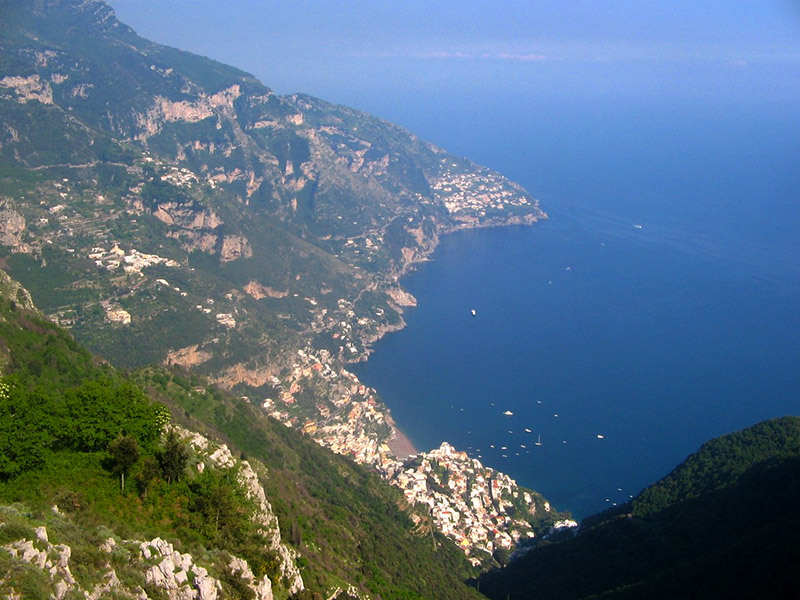 The first part offers outstanding views of Praiano, Positano, Li Galli islets, and Capri. 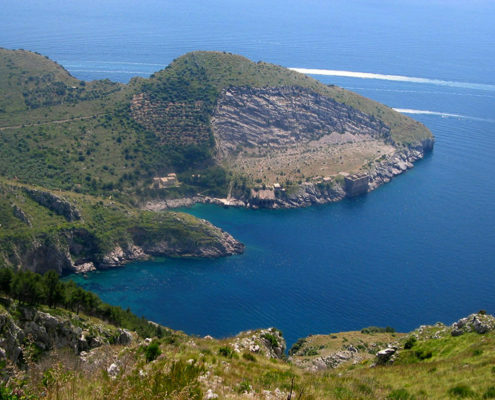 We also see the Grotta Biscotto, an old shepherds shelter, built into the rock and inhabited since Prehistoric times. Along the way we walk in the shade of elm and oak trees surrounded by myrtle and juniper. 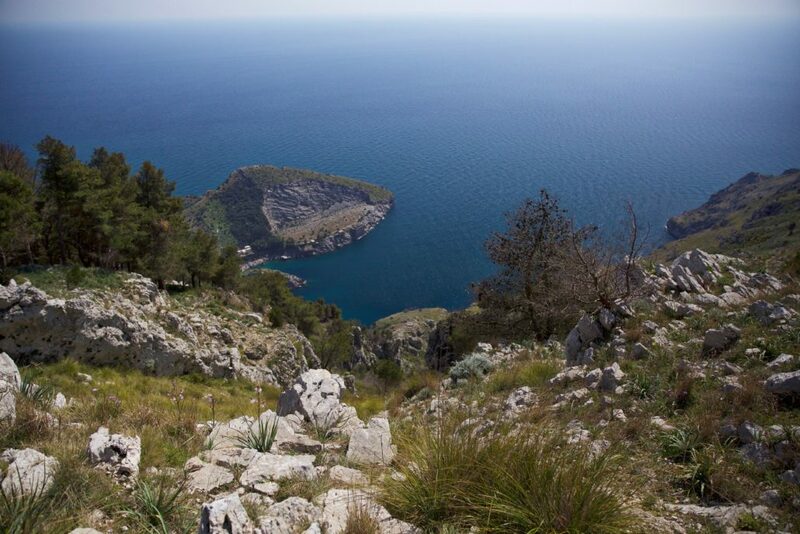 We cross wild precipices full of caves and small vineyards. 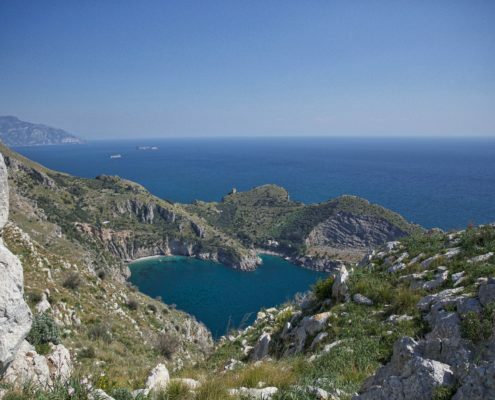 Here is where the ped’ e palomma grapes are harvested. 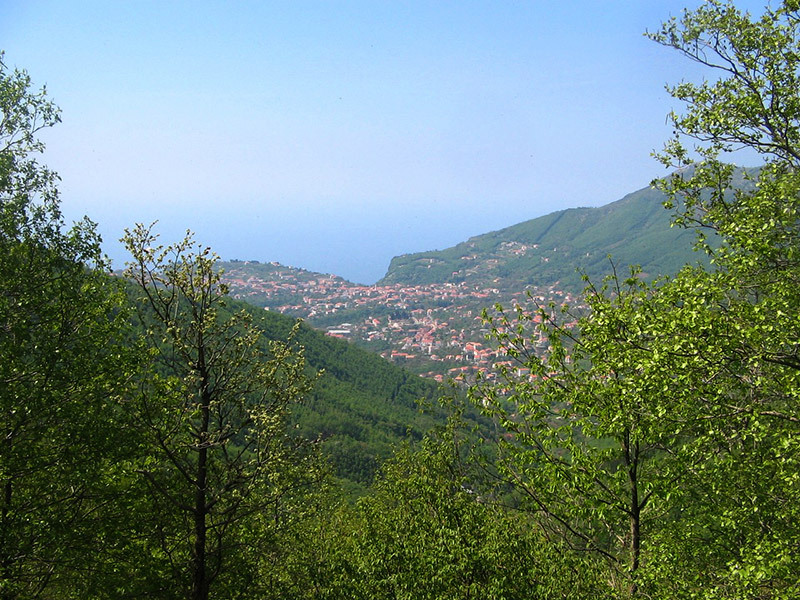 Within 3 hours we reach the small village of Nocelle with Monte Pertuso in front of us. 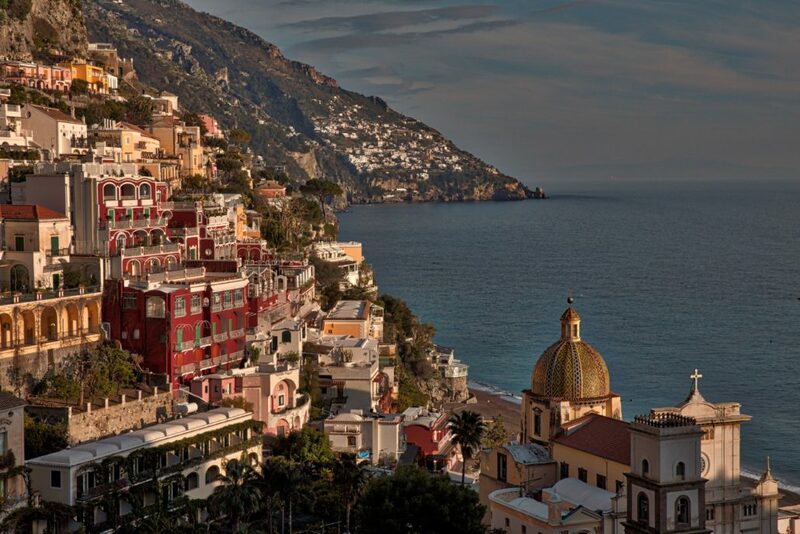 The path ends with 2,000 steps going down, leaving us very close to Positano. 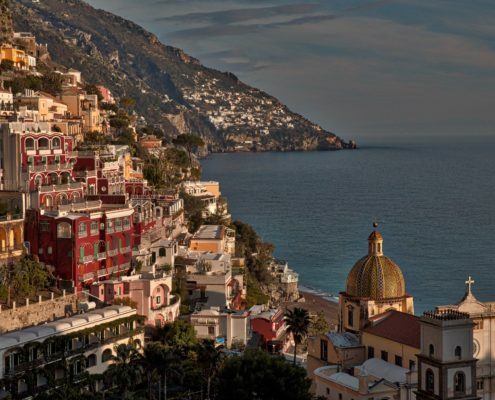 Once in Positano you may choose to wander its narrow streets or enjoy an espresso and pastry at a local cafe. Transfer to overnight accommodation in a local B&B. 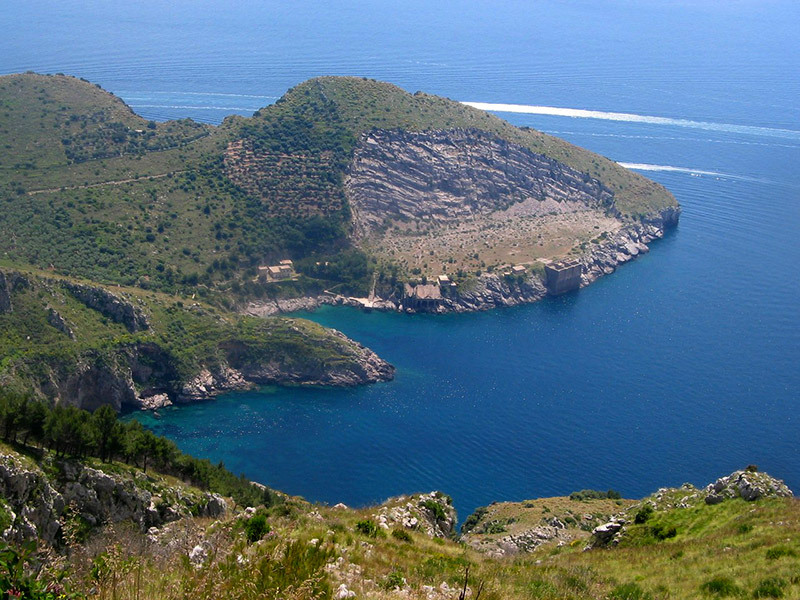 Today is the most challenging day of the itinerary and will be quite strenuous. 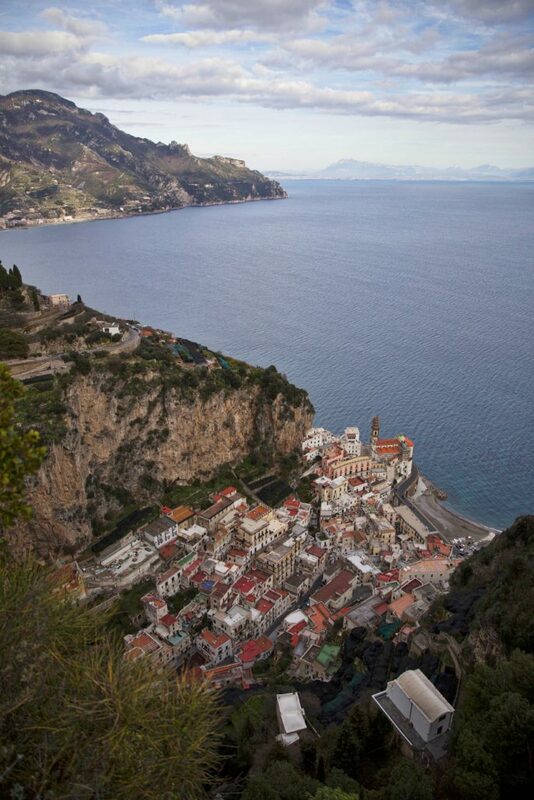 However, we will be rewarded with some unique scenery. 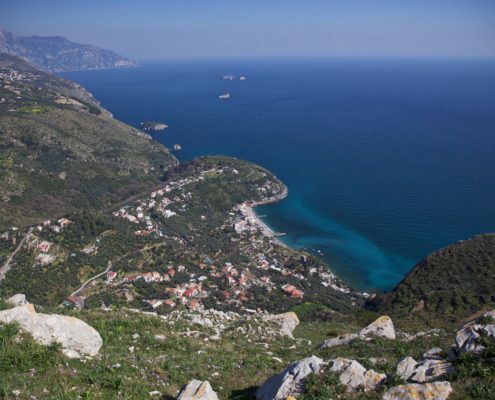 We hike up the Tre Calli Mountain followed by the Mountain of St. Michael (also known as the Molar, because of its tooth shape) and finally we reach Conocchia Mountain. 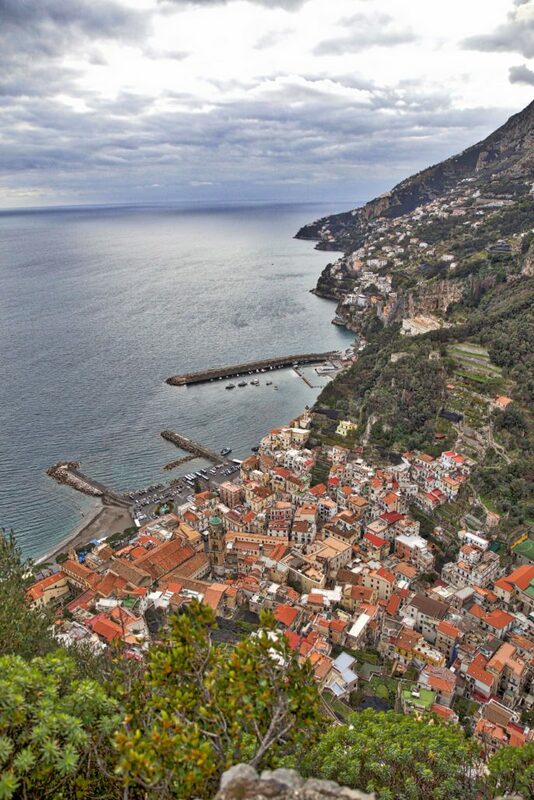 An easy descent via cable car to the town of Castellammare di Stabia. 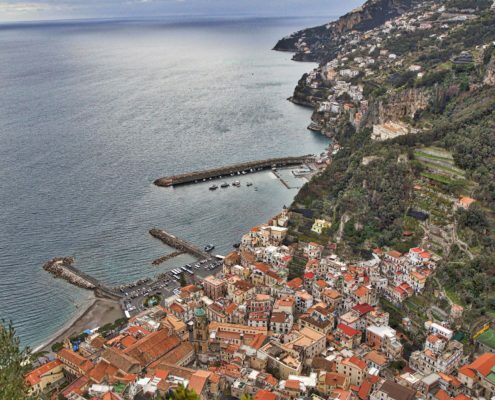 Transfer to Sorrento and enjoy a festive farewell dinner in town. 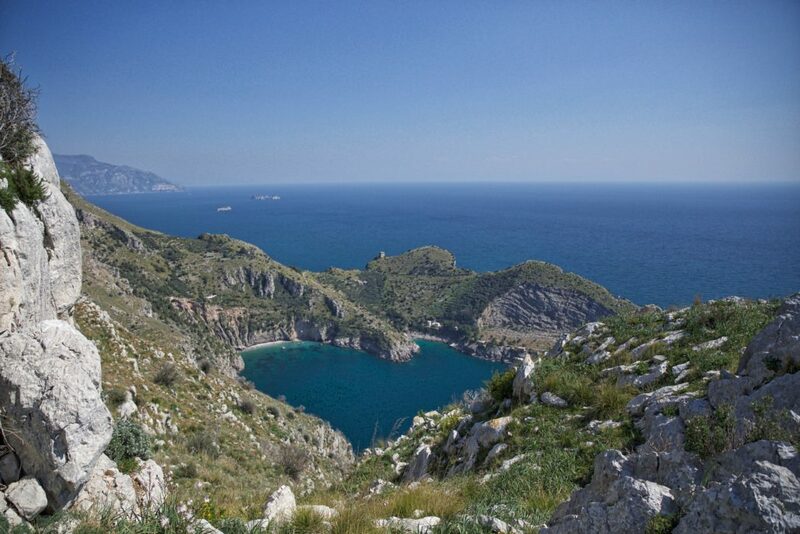 After breakfast we have a short transfer to Punta Campanella to complete our last day of hiking (5 hours). 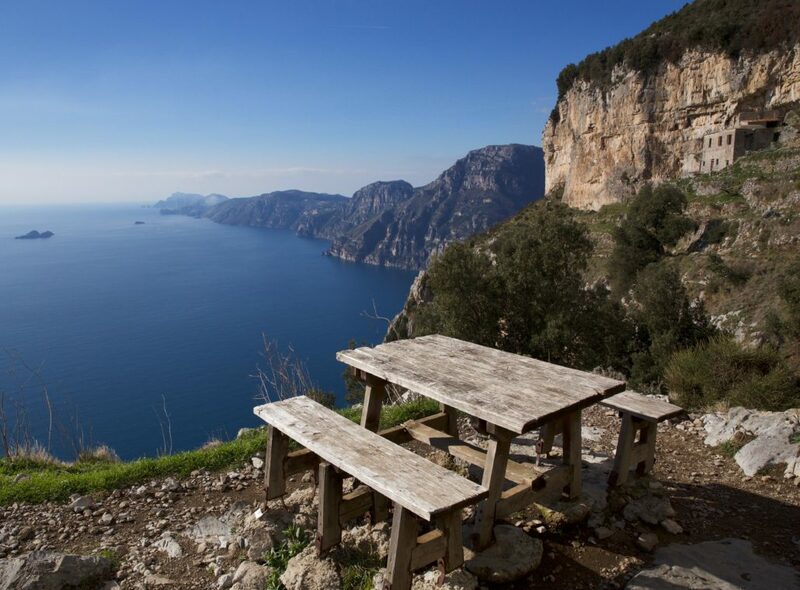 We hike up to the Convent of San Costanzo, the protector of Capri, to a breathtaking viewpoint offering a 360 degree view of the Gulf of Naples, Mount Vesuvius, the Gulf of Salerno, the Amalfi coast, and all surrounding islands. 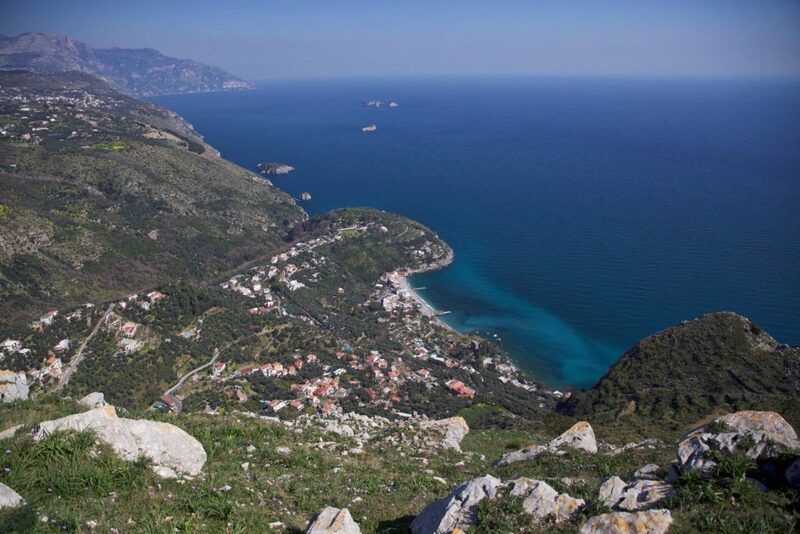 A steep descent to the Bay of Jeranto, where we can enjoy a dip in the emerald green waters of the Mediterranean Sea, before reaching the quaint fishing village of Nerano. Time to relax and enjoy an exquisite homemade frozen lemonade at a local cafe. The tour ends after private transfer to your hotel. Meals included: Breakfast and Boxed Lunch.